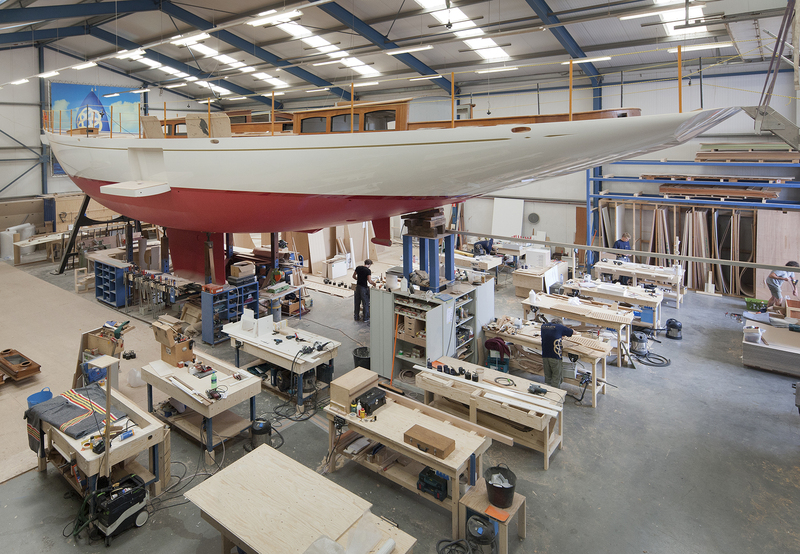 The third TC90 is currently being built, with the launch slated for spring 2016. 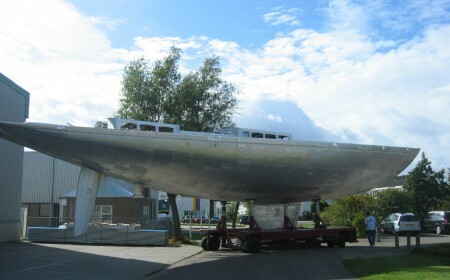 This truly exciting yacht will be unique to her predecessors Kealoha and Atalante in several ways. 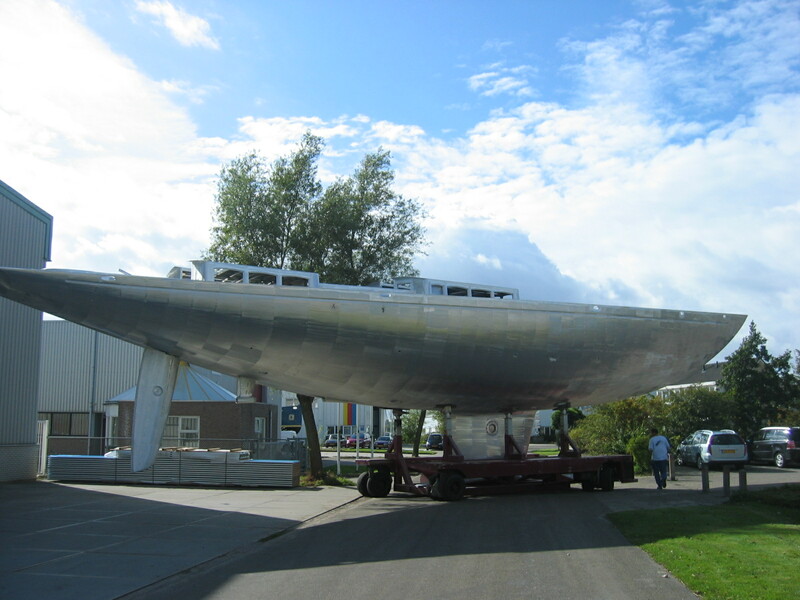 A black hull, dark blue underwater segment and white waterline will make for an exceptionally distinguished look. 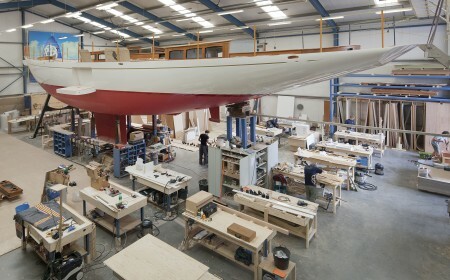 The exterior finishing will consist of beautifully varnished teak, while the 35.60-metre keel-stepped carbon mast will be equipped with four sets of crosstrees. 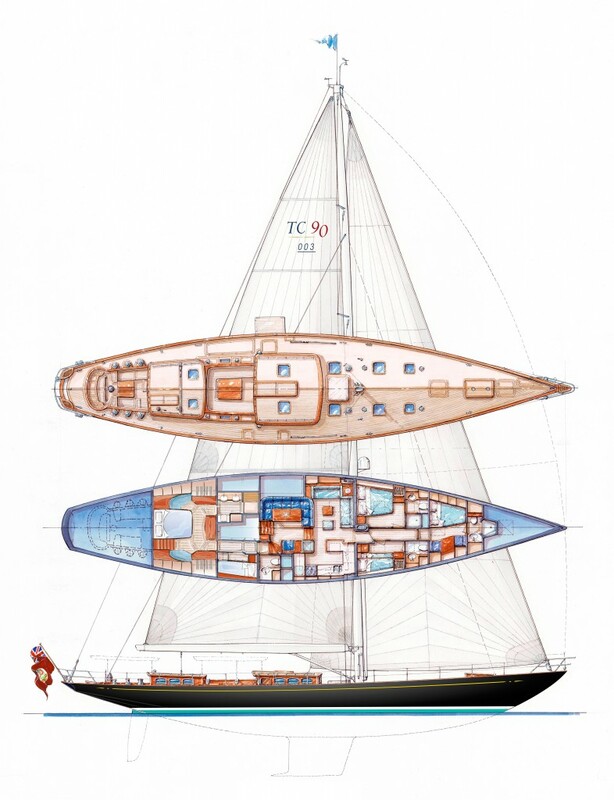 The yacht will boast all the great TC90 characteristics, such as the possibility to operate all sails from the cockpit, separate owners’ deckhouse, and dazzling views. The luxurious interior will be finished in stylish mahogany. 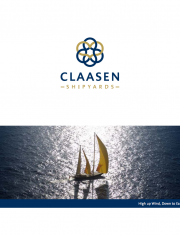 Claasen Shipyards is renowned for having almost all yachtbuilding disciplines in-house. 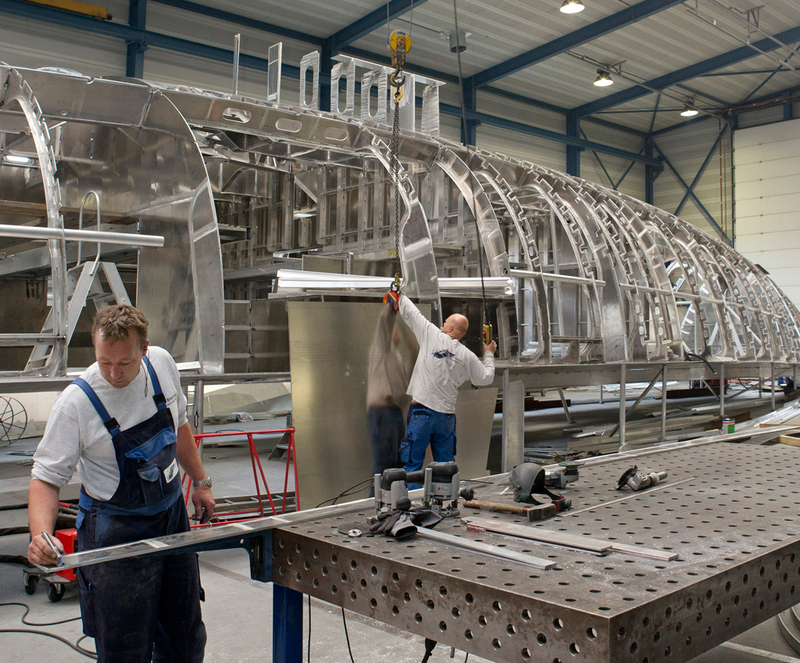 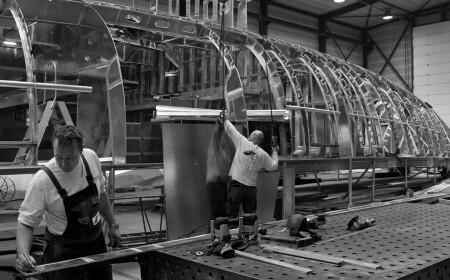 The aluminium hull of the new TC90 was built by our dedicated division in Makkum, while the interior will be fitted by Claasen’s specialised timber craftsmen. Design & styling Hoek Design Naval Architects B.V.